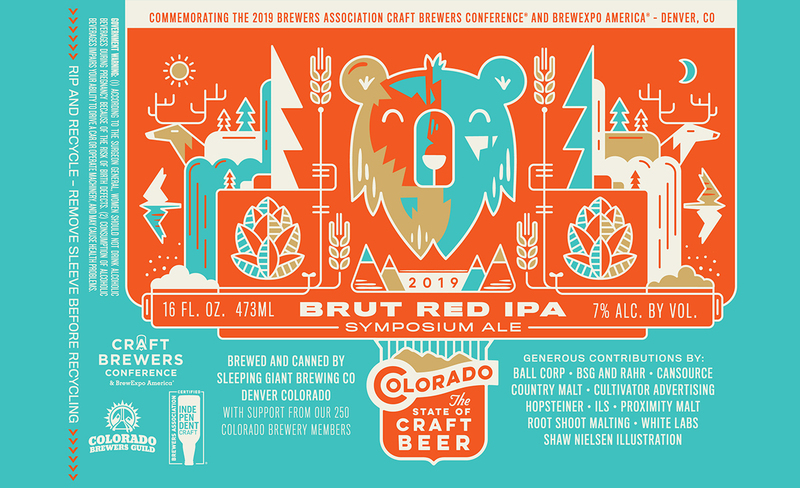 Each year, small and independent brewers in the host city of the Craft Brewers Conference® & Brew Expo America® collaborate on a special symposium beer offered to conference attendees. 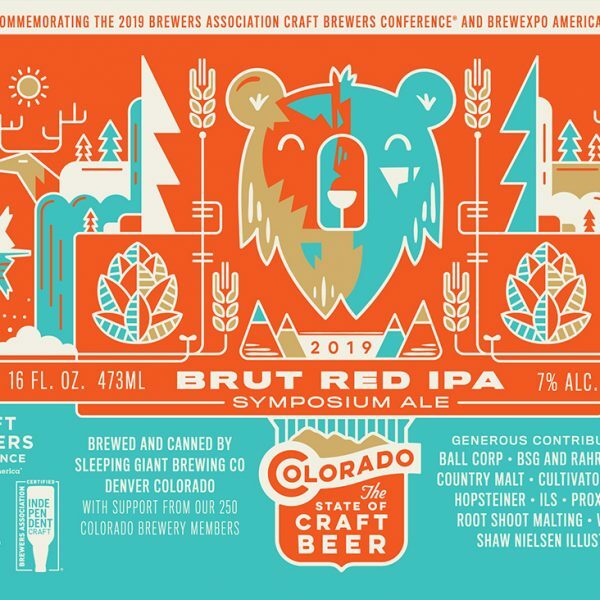 The 2019 Symposium Ale will be Brut Red IPA brewed by members of the Colorado Brewers Guild at Sleeping Giant Brewing Company in Denver, Colorado. Setting the Style: Designed to push the boundaries of the Brut IPA style, the beer is a rusted reddish-orange with a dark copper hue. Bright filtered, with a compact, porcelain head, it has the appearance of a robust IPA. Coming in at 7% ABV, the finished product delivers a delightful amount of red berries, tangerine, and fermented pineapple. Its hop forward to highlight the great variety of hops used to brew. It’s dry but not astringent, with a light alcohol heat balanced by a light residual bitterness. The Brewing Process: A combination of malts were used, including pilsner malts from Proximity Malting and Root Shoot Malting, 2-row barley from Brewers Supply Group, Flaked Rice from Briess, and double roasted crystal malts from Country Malt Group. Fermented using only WLP820 Champagne Yeast from White Labs, there is a balanced ester profile, with light phenolic characteristics. Those flavors combined with the massive fruit and citrus character provided by the hops result in a dynamic finished product. Innovative Packaging: Packaged in 16 ounce cans, the Symposium Ale features a tear away plastic sleeve that offers a cleaner, more efficient solution for the aluminum once it enters the recycling stream. CanSource and ISL labels provided a new and innovative solution to recycling cans. The easy tear away perforation allows the beer lover to remove the sleeve before tossing the can in the recycling stream to avoid any contamination to the recycled aluminum.